Manila is where you will find the Thai embassy in the Philippines. 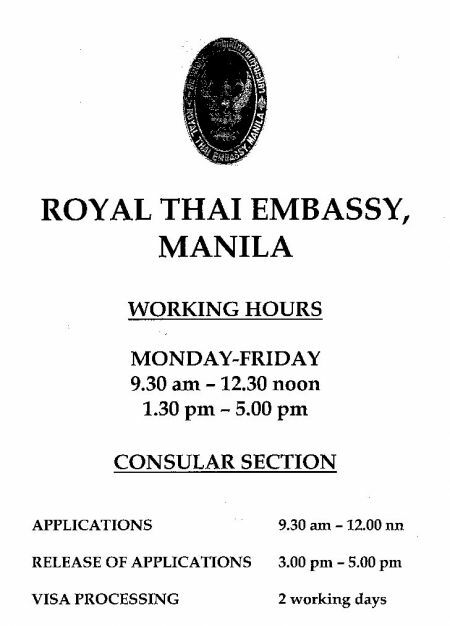 This embassy will issue you a business visa if you have the correct documents from a Thai company or school. They do issue tourist visas but they are very strict about the visa. 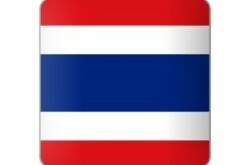 You can also apply for a marriage visa if you have a Thai wife or Thai husband. 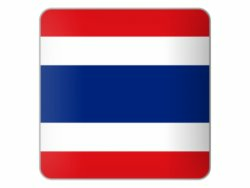 If you are looking at retirement in Thailand then you can also apply for a retirement visa at the Thai embassy in Manila. The contact details are below. Monday to Friday : 0930 hrs. - 1230 hrs. / 1330 hrs. - 1700 hrs.